• Preference to open pages in Safari in a new page or in background (amazing!). • More alert choices for emails, calendar, and the ability to buy more. • Software update option in settings to check for the latest OS. • Ability to customize how notifications in Notification Center look — you can customize how many recent ones to show, 1, 5 or 10, if it’s showed in the lock screen, if it’s in Notification Center, and also the alert style, banner or alert style. 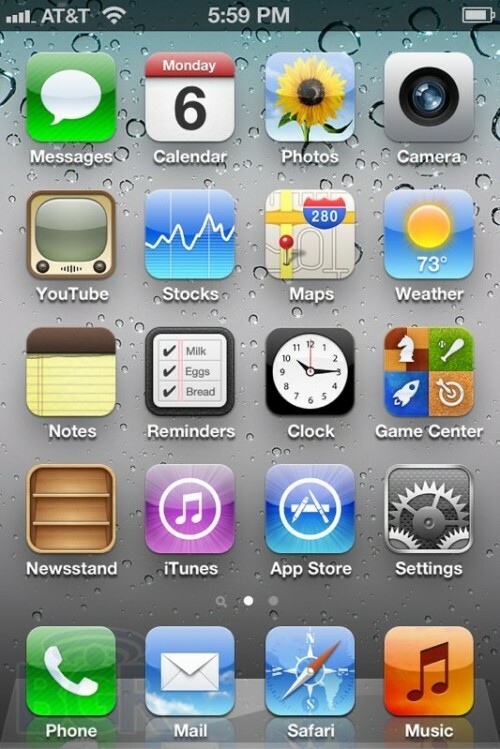 iOS 5 is due for general release in the fall, and is presently available for download for registered iOS developers. Can you FINALLY attach a picture within the Mail app to an email??? I bet intelliscreen and lockinfo devs are sighing and saying well, it was a nice run. * Preference to open pages in Safari in a new page or in background (amazing!). * More alert choices for emails, calendar, and the ability to buy more. * Software update option in settings to check for the latest OS. * Ability to customize how notifications in Notification Center look  you can customize how many recent ones to show, 1, 5 or 10, if its showed in the lock screen, if its in Notification Center, and also the alert style, banner or alert style. * Twitter installs directly from the settings page if its not installed directly, you arent even taken to the App Store. * Tweeting photos is, so so slick. It displays on Twitter as powered by Photobucket, and its from iOS. * You can make new albums right from the device itself in Photos. * You can move and add photos to albums. * Doesnt look iMessage is fully baked in here yet. * You can customize the default alert times. This is so needed  so now when you enter a calendar entry, you dont have to set the default alert time you like  Im a 15 minute calendar alert type of guy. * Email flagging doesnt look to be enabled in this beta, though S/MIME support is. Never mind, it is. You have to go into the message and tap mark. * It seems that Reminders sync with Exchange (Tasks basically), but you cant set location-based reminders if youre on Exchange, just with iCloud. You can selectively choose where to sync the reminder though, its just not streamlined if you use Exchange. * You can set the caller ID for FaceTime calls, so if you call someone, you can choose it to display your cellular number or email address. * In the weather app, there is a new pane for a current location which will show you weather for wherever you are. * When syncing with iTunes you can use the device normally  no more syncing screen! * You can delete individual calls from the call list  I know a lot of people that just got super excited. I'm really curious how this is going to work with multiple users using the same Apple ID and iCloud account. Me to. My wife and I use the same Apple ID. You could always just use separate Apple IDs for stuff like this. Same with stuff like Game Center. No you can't, at least not if you want to share iTunes purchases (or share an "itunes match" yearly purchase). Eh? It's his phone, who cares what you're a fan of when it comes to his personal choice of set up? OH MY GOSH!!!! When you turn the phone on, the Apple logo animates :D It looks SO cool! Downloaded and installed iTunes 10.5 from the dev site. Installed iOS 5 and phone is now syncing music, etc.